This is a rubber band powered model of a Super Marine S.6B from Dumas Aircraft. 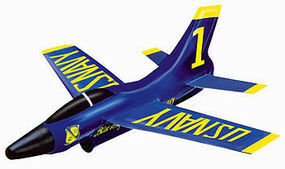 This is the Blue Angle Super Sonic Jet Launcher by Gayla Industries. 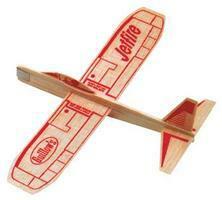 This is the Super Stratosphere Rubber Band Airplane (12) from Estes. Suitable for Ages 8 & Older. 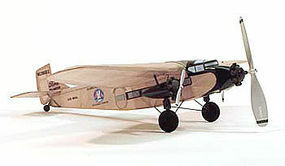 This is the Dumas Ford Tri-Motor Walnut Scale Rubber Powered Flying Model Airplane. 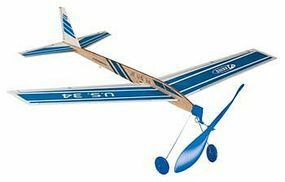 This is a 30" Wingspan-Scale, Rubber-Powered, Fieseler 156 Stork Flying Model. For Beginners Learning How To Build & Fly Or The Advanced Modeler. This is the Stunt Flyer from the MiniModels Series from Guillows. Suitable for Ages 13 & Older. Assemble the Best Known German Luftwaffe World War II Fighter: Messerschmitt Bf-109 with this Authentic Scale Rubber Powered Flying balsa model kit from Guillow's. 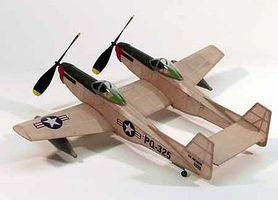 Scale model for adult collectors. This is a Walnut scale, Rubber-Powered, Waco YMF-5 from Dumas. 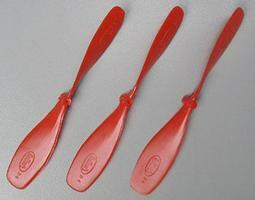 For Beginners Learning How To Build & Fly or The Advanced Modeler.